Here at OHO, we don’t like to play favourites or single out any particular experience. Foxey’s Hangout at Red Hill is our favourite, and a singularly fabulous experience. Hey – rules are made to be broken, right? Owner Tony says that he ‘didn’t come here to run a restaurant’, and it follows that the combination of cellar door and food service is fun and unique. It’s compact and casual, and the menu is an exercise in minimalist attention to detail. It’s a bit like great minimalist architecture: if you’re going to put up super-simple dishes, they have to be precise and perfect. Tick. The quail, for instance, is simple pan-fried legs, made for picking up and sucking the meat off the bones. They are cooked to perfection, unsullied by technique, and addictively delicious. Tony is rigid and focussed in his approach to Foxey’s Hangout. You can’t book a group, he doesn’t do events. It’s for casual dropping in and hanging out, and it’s all the better for this simplicity. Foxey’s Hangout wines continue this focussed approach. Nothing is rushed. You can learn this at one of their sparkling wine–making workshops. The DIY approach to things like bottling means that it can take time to get the job done, but Tony’s not worried. It’s a ‘nicer time’ than running about madly for a day with an industrial portable bottling line contractor. But let’s face it, we don’t really care about the bottling. We care about what’s in the bottle. Sauvignon blanc drinkers will love the pinot gris. Anyone will love the Kentucky pinot noir. Those who are lucky enough to have grown up with family food traditions that include sausage making, preserving and so on can understand the simple pleasure of making foods that have become commoditised and sanitised by commercial production. There is enormous satisfaction in taking the best produce, like organically farmed pig, and turning it into succulent, delicious sausages. James is certainly passionate about his pigs. There’s genuine appreciation for the life of the animal, and a sampling of products made from pigs that have had variations in feed is a revelation. He’s also experienced with other livestock, but pigs are a particular interest. He and his wife Cathy run workshops in making sausages for people looking to turn their hand to the art of this simple staple. Classes run regularly, and the best way to stay in touch with the schedule or any new classes is at themeatroom.com.au. James says the return of the salami classes have been hotly anticipated. Tell us about your family’s long history with cooking. Food has always been a central part of our daily lives. Growing up the son of two chefs and living in and around restaurants all my life – following in my parents’ footsteps was hard to resist. Take us through your own journey with food. One of my childhood memories is waiting for the cooks in the kitchen of our family’s restaurant to slow down so I could dash from my bedroom – through the kitchen – to the bathroom. 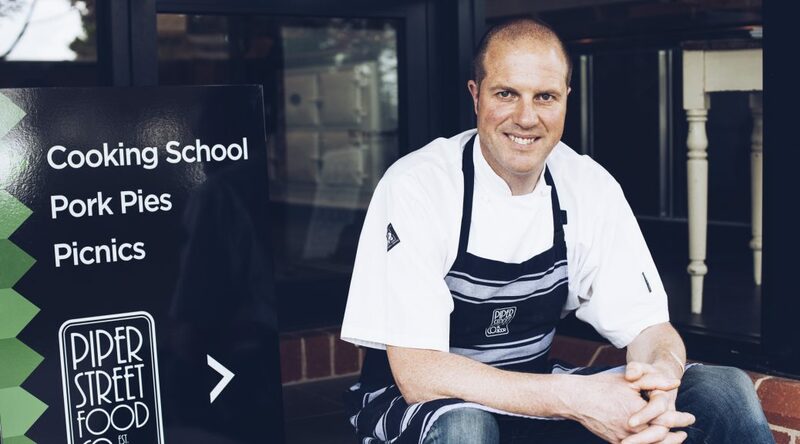 I started my apprenticeship with my mother and then continued my training in the kitchens of some of Adelaide’s most iconic restaurants. After qualifying, I then travelled and worked in Europe (falling in love with charcuterie along the way) and finally landed in Melbourne where I worked for years at Il Bacaro. After starting our family and moving to Kyneton we opened a wood-fired pizzeria called Pizza Verde – it became a local classic and won loads of awards. We sold it to create Piper St Food Co – a small boutique charcuterie and now home to our famous pork pie and a busy cooking school. The older I get, the more I realise how important food is as a way of bringing people together and creating connections. I feel privileged to be able to make food that people take into their homes or on picnics and share with loved ones. 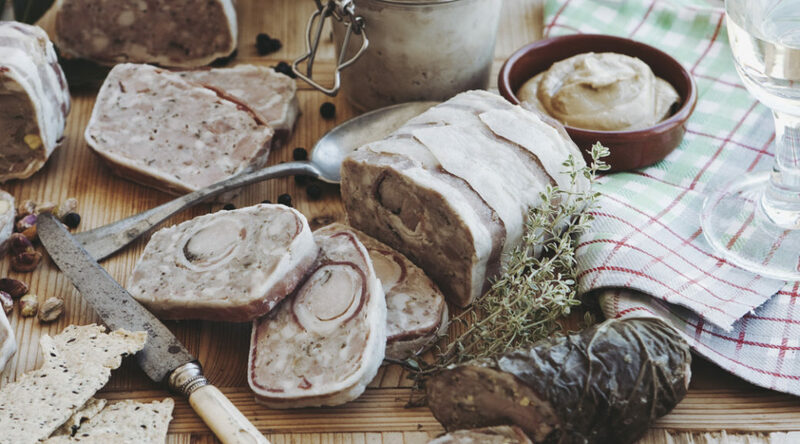 What has been your inspiration for the focus on preservation and charcuterie? I am fascinated by the traditions and skills of preserving food. It is so ancient but still makes so much sense. Travelling through Europe opened my eyes to these centuries-old techniques of preserving meats – it was done purely out of necessity – initially to use every part of the animal and to provide protein for the winter months. The variations from village to village and slight regional differences was something I became very interested in. 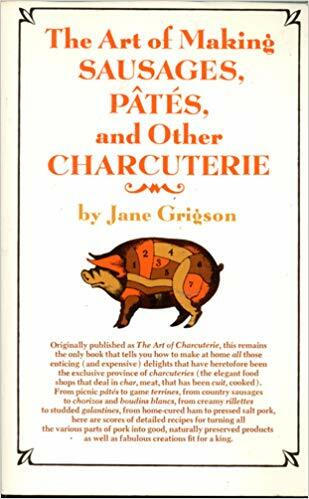 After returning home I discovered a second-hand copy of Jane Grigson’s 1967 classic The Art of Making Sausages, Pâtés and other Charcuterie – it is beautifully written and captures all of those regional recipes I wanted to know more about. My copy is now falling apart because I refer to it so often – we have used the recipes as a basis of so much of what we do here at Piper St Food Co.
Travelling through Europe opened my eyes to these centuries-old techniques of preserving meats – it was done purely out of necessity – initially to use every part of the animal and to provide protein for the winter months. How does where you live influence your cooking? 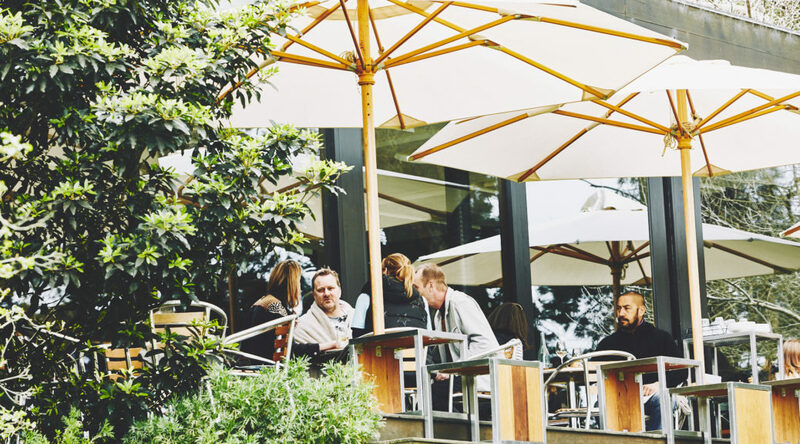 Living and working in Kyneton – in the Macedon Ranges – is just so easy. We are blessed with loads of small, quality growers and producers – as well as beautiful natural mineral springs. But the biggest influence is actually being amongst other makers – Kyneton is home to the Lost Trades Fair – and there is a growing, thriving community of people that make, grow and cook using traditional methods. Our cooking classes are all based on traditional methods: making things from scratch using hands and traditional tools and utensils. Some of our classes with Rundell&Rundell mean you even get to make your tools first and then come and do a class. What do you love about living in Kyneton? The natural environment – fresh air, mineral springs, beautiful walks and swimming holes – it’s such an easy place to live and raise a family (we have five kids). It’s a real community too; business owners and individuals work together to support each other and offer unique experiences (and thankfully we have great locals who support these unique small businesses). Plus, all the great food (wine, gin, beer, cheese, olives, restaurants, farmers markets etc) on our doorstep. What is your favourite region outside of where you live? Bright (Alpine Shire). Every year in January we close up shop for a week and load the trailer full of bikes and head to Bright. We do a bike ride in the morning, plan meals and cook during the day, and swim in the afternoon. There’s lots of beautiful swimming holes and hikes and we’ll often do day trips or rides to other little towns. Each evening after dinner we always walk up to the ice-cream shop and maybe to the water park for another swim. It’s just very relaxed family time – with lots of boardgames, reading and games of backyard cricket (all the kids work alongside us in the business, so this is a well-deserved break for everyone!). 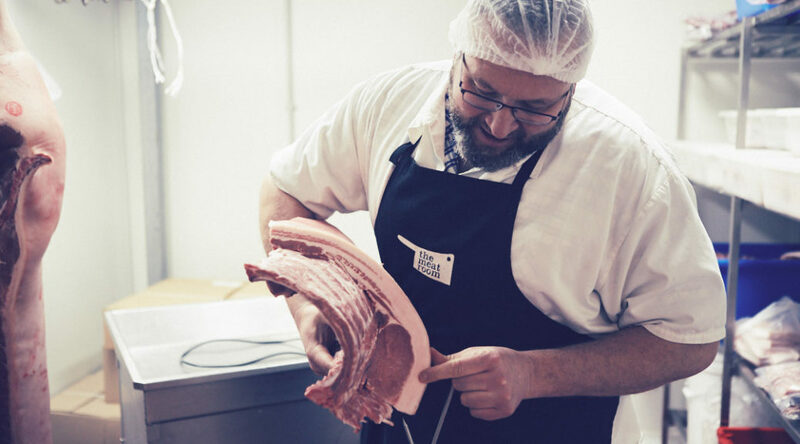 Join Damian in his beautiful commercial kitchen in Piper St, Kyneton for a fun, hands-on Traditional English Pork Pie–making class with all the trimmings. Book here. How did you get started working with bees? I’ve always been fascinated with bees. My earliest memory is from the age of four or five when my big brother taught me how to pick bees up without getting stung. My friends thought this was very impressive, and it came in handy when I wanted to frighten the bullies away. I took every chance I got to study and research bees as I was growing up. At around ten years old I thought I was very clever for using the Latin name for bees as the title of a school assignment Apis Mellifera (I got an A). 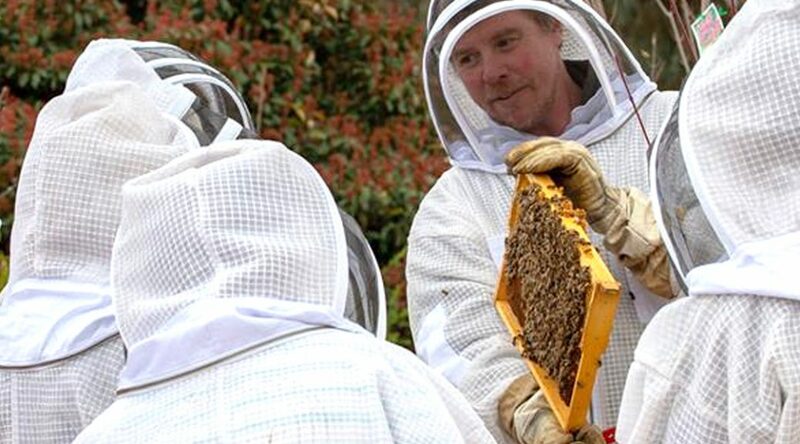 It wasn’t until I had decided to stop moving around and choose a home in Castlemaine for my family that I took a beekeeping course and then started looking after bees myself. The day after I finished the beekeeping course a swarm landed in my friend’s garden. I caught that swarm, put it in a hive, and at that point I was hooked. Over the next two or three weeks I caught nine more swarms. It was a very steep learning curve. I soon realised bees were my calling and, along with being a parent, it became my full time gig in 2013. What do you find is the biggest misconception people have about bees? That bees are aggressive. Up until recently, when the general public has started to realise how precious pollinating insects are, and recognise that they are in trouble, bees have had a pretty bad rap in the media. In films and on television bees are almost always portrayed as aggressive stinging pests that will swarm out in a cloud at the drop of a hat and chase you. The truth is that, yes – obviously – bees sting, but they are never aggressive, only ever defensive. Bees are intelligent creatures and usually die when they sting so they only ever sting when they thinks it’s the last resort. That’s not aggressive. That’s self defence. There is some evidence to show that the honey we buy in the supermarket has been adulterated, what advice do you give to people wanting to buy real honey? The fact is that the honey market is almost completely unregulated and “honey laundering” (selling fake honey) is very common – and impossible for the average person to detect. Like with all food, you just never know what you are getting with honey unless you produced it yourself. The only way you can be sure you are getting real honey is by harvesting it yourself from your own bees. So my advice is, either learn how to look after bees and get a hive of your own, or make friends with someone that has their own hive. What’s the advantage of seeking out authentic honey? There are so many advantages to seeking out authentic honey it’s difficult to know where to start. Mass produced honey has often been heated which can destroy almost all of the beneficial health properties of real honey. However, in light of the recent stories about fake honey in the press, I’m probably more likely to talk about how buying authentic honey supports authentic beekeepers and their families. Buying fake, denatured industrial honey supports shareholders and criminals. Honey laundering is a big business. We have no idea what’s actually in a lot of the “honey” out there, or where it came from, and there’s no easy way to find out as testing is not cheap or easy. Often, what is sold as “honey” in Australia has been blended with “honey” from overseas. This means that it may not be honey at all but some other kind of sweet syrup product. But worse, the use of insecticides, antibiotics and other poisons by beekeepers to treat bees WITHIN THE BEEHIVE may have been poorly regulated or not regulated at all. This means that the poisons beekeepers have used to treat bee diseases will end up in the honey you eat. Another consideration in terms of potential toxins in honey is the types of agricultural pesticides used in the areas where the bees foraged. Again, these may or may not be regulated and could well include substances banned in Australia. There are also biosecurity risks associated with importing honey. Bee diseases can be spread in honey and this poses a huge risk to the relatively disease-free Australian honey industry. I’d go further than encouraging people to find authentic honey. I’d say it’s also important to seek out authentic LOCAL honey. This is very important if people are looking at using honey to help with hay fever and allergies. And of course, the most local honey is from a beehive in your own backyard. Favourite place for breakfast, lunch and dinner in your region? The community lunch held by Castlemaine Community House on a Tuesday is somewhere I like. Bento boxes at LunchBox Sushi in Castlemaine are my absolute favourite for lunch though. Besides where you live and work, where is your next favourite part of regional Victoria? I like to explore the bush. I have quiet little favourite spots all over the place. You are running a Beehive Tour for OHO Experiences, what can attendees expect on the day? Excitement, fun, and adventure, learning about bees and all they do to ensure the pollination of our flowers, fruits and vegetables – and a jar of authentic local honey to take home. There are only three accredited SAORI weaving instructors in Australia, and Prue Simmons is one of them. Here she explains why she loves this little-known form of freestyle weaving, and what you can expect from attending her upcoming Japanese SAORI Weaving Workshop. What is SAORI weaving and what is its history? SAORI weaving is a fun and easy form of freestyle weaving that was developed in the 1960s in Japan. Contrary to many other forms of weaving, which are pattern-based and require perfection, SAORI allows the weaver to just enjoy creating and freestyle expression. The word SAORI comes from two Japanese words: ‘Sai’, a Zen word meaning ‘unique’ and ‘-ori’, meaning ‘weaving’, so it’s about making a unique, human-made cloth – a true one-of-a-kind! SAORI weaving comes with a beautiful philosophy that everyone has their own, unique inner spirit that is shown when there is the opportunity to create freely. SAORI weaving allows you to express yourself through colour and texture at the loom. In SAORI, there are no rules, no patterns to worry about and no such thing as a mistake, so it’s something that absolutely anyone of any age can do! The SAORI looms are still handmade in Japan by the same family that first created them, and they are wonderfully easy to set up and use. How did your own journey with SAORI weaving begin? I stumbled across SAORI weaving in a tiny village in the mountains while living in Japan over a decade ago. I was instantly hooked! I loved the meditative quality of the weaving, the simple movement and the ability to quickly and easily create beautiful cloth. After enjoying SAORI for a number of years as a hobby both in Japan and Australia, I then had the opportunity to open my own globally accredited SAORI studio in Central Victoria at my llama farm. Now I am passionate about teaching others this amazing textile craft. I am one of only three people in Australia that is accredited to teach this Japanese style of weaving, and sell the looms – and I absolutely love what I do! The word SAORI comes from two Japanese words: ‘Sai’, a Zen word meaning ‘unique’ and ‘-ori’, meaning ‘weaving’, so it’s about making a unique, human-made cloth – a true one-of-a-kind! Besides the work itself, what else does SAORI weaving bring to your life? SAORI weaving is not only a craft but a moving meditation, so I love being able to just chill out at the loom and create. 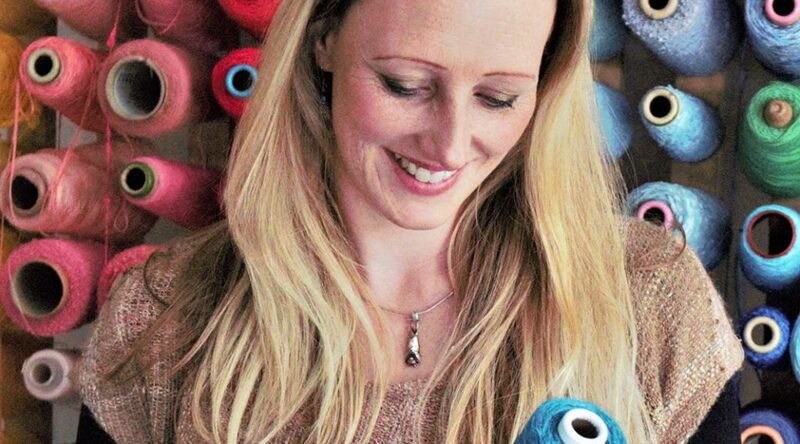 I don’t come from a textile background (I used to be a zoologist! ), so the ability to easily make beautiful cloth for unique garments or soft furnishings around the home is wonderful. Sharing my passion for SAORI and Japanese crafts through teaching, and watching the creativity come alive in my students, is so fulfilling. The SAORI philosophy and ideals of valuing creativity and uniqueness have extended right through to all aspects of my life. What is the ‘Celebration of SAORI’ exhibition and how did it come about? The ‘Celebration of SAORI’ exhibition is held from the 2nd to the 18th of November in Clunes, and brings together SAORI weavers from all over Australia in a celebration of freestyle weaving. A joint collaborative idea between Dyeing To Weave SAORI Studio and Cathy Tobin from Gypsy Weaver Studio, the exhibition celebrates the burgeoning popularity of Japanese SAORI weaving in Australia and aims to highlight and recognise the amazing freestyle weaving currently being produced at the loom in lounge rooms, studios and craft groups around the nation. After we held a very successful SAORI exhibition for Cathy in Clunes last year, we decided to extend that opportunity to other weavers who may not normally get to exhibit and sell their work. It will be a wonderful, inspirational venue to host my SAORI workshops and we encourage everyone to visit the charming, historical township of Clunes to see the exhibition and experience the beauty of SAORI weaving! Favorite place for breakfast, lunch and dinner in your region? There are a number of great cafes and restaurants in Clunes, but my favourite place is just up the road at the Talbot Provedore and Eatery in the delightful neighbouring township of Talbot. They produce absolutely amazing seasonal food, stock a wide variety of local wines and the place has a wonderful ambience. Plus I can get lots of delicious locally made products from their Provedore to enjoy at home. We are so lucky here in Victoria to have an abundance of amazing regional locations that are so easy to access. I particularly love a mountain vista – so the High Country region is a favourite of mine. Such picturesque landscapes, crisp mountain air and gorgeous bushland. Plus there are some lovely boutique wineries throughout the region to enjoy! What can people expect from attending your Japanese SAORI Weaving Workshop? Attending a SAORI Workshop is lots of fun! The easy, relaxed, freestyle nature of the weaving means that you don’t need any experience to start SAORI weaving and all of the looms are set up and ready for you. All you need is the enthusiasm to explore playing with colours and textures to make a beautiful woven piece to take home and cherish. Come and find your Zen at the loom and discover SAORI weaving! The Mitchell and Harris families grew up in the Ballarat region. You could argue that they were early instigators of the food revolution off the main drag (Sturt St) in town. The last few years have seen the likes of Catfish, Meigas and the Mitchell Harris cellar door/bar open up and make Ballarat a foodie destination. The Mitchell Harris style is of relaxed industrial and historic chic, and is at once familiar and fun. It’s a place you can spend a whole Friday night getting lost in a detailed exploration of your friend’s holiday recommendations over several bottles of whatever it takes to make that sound interesting. It’s a place for meeting up with your best friend to laugh about that time you couldn’t remember that thing you did together, and order the Sabre sparkling, complete with the actual sabring of the bottle. All the Mitchell Harris wines are of course made in the company’s own winery. They’re good. Really good. There are some fabulously sessional wines in there, perfect for the formerly referred-to Friday evening. If you’re not content with just drinking the wine someone else made for you, you could enrol in the Curious Winemaker workshop. Over the course of several visits through the season, make your own wine: from grapevine to bottle. Don’t worry, you’re not left to your own devices. 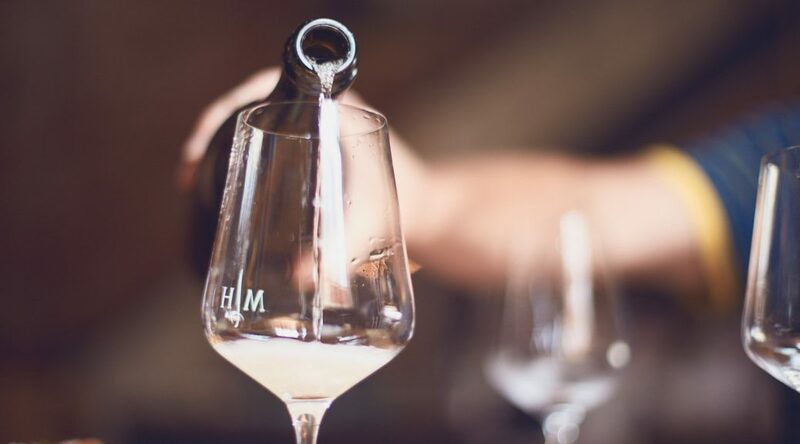 You’ll be under the expert guidance of winemaker John Harris, and with him make all the critical decisions along the way to produce a decent drop you can call your own. Mitchell and Harris is also a place to eat. A bloody good one. The food is comfortable and brings on all the requisite ‘oohs’ and ‘ahhhhs’. Here’s something a bit different. Think wine tasting, but you’re not putting it in your mouth. Although, there’s wine. And platters. But you’re not drinking the thing you’re tasting. Follow? Sweet Fern is a perfumery, and the experience is captivating and unique. Let’s start with the experience of owner Kate Robinson walking you through the ‘Fragrance Wheel’. It’s a mind-blowingingly simple way to understand the scents we love. It’s deeply personal and loaded with all our experiences of life and memories. As she explains, ‘Smell is the sense of memory.’ The idea that from this, we can narrow down from hundreds of the highest-quality fragrances to the single one that is our own recognisably ‘you’ scent is extraordinary. 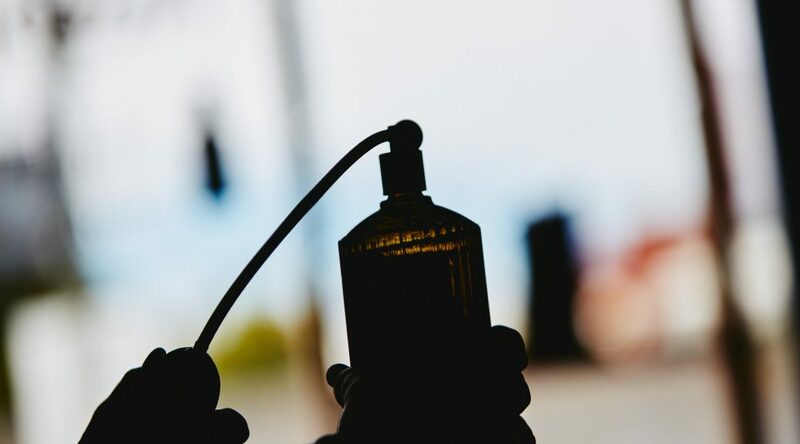 It’s not just ‘perfume shopping’, it really is a very personal experience – one which can be quite moving, as you’re delving back through memories via scent. Get a few friends together for a weekend, and book a fragrance masterclass during an afternoon. Then hit the town, maybe make some new memories somewhere, like Catfish Thai. And in case you’re wondering, it’s not a gender-specific experience. Memories and smell are for everyone.